I'm only a couple years now from my 40th birthday. I've definitely noticed changes in my facial skin. It's not as bright or smooth as it used to be. My pores seem larger and my skin texture is a lot rougher. So, in response, I've been paying a lot more attention to my skincare routine. 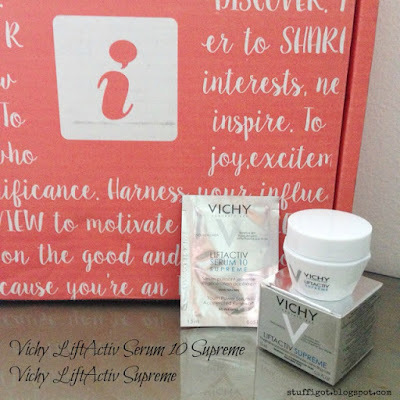 I recently had the chance to try some samples of a couple anti-aging products from Vichy. I've only used one other product from Vichy in the past -- Vichy Idealia Life Serum. (See review here.) I really liked it, though, I never went out and bought it. 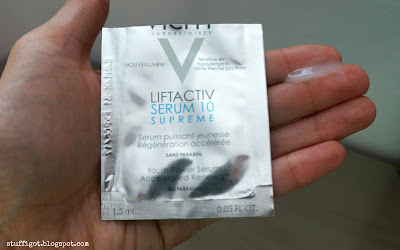 This time, I had the chance to try Vichy LiftActiv Serum 10 Supreme and Vichy LiftActiv Supreme. The serum is light and absorbs quickly into skin. It wasn't greasy and left my skin feeling moisturized and looking brighter. I didn't even feel I needed to add any moisturizer after. But, for testing purposes, I followed with Vichy LiftActiv Supreme. 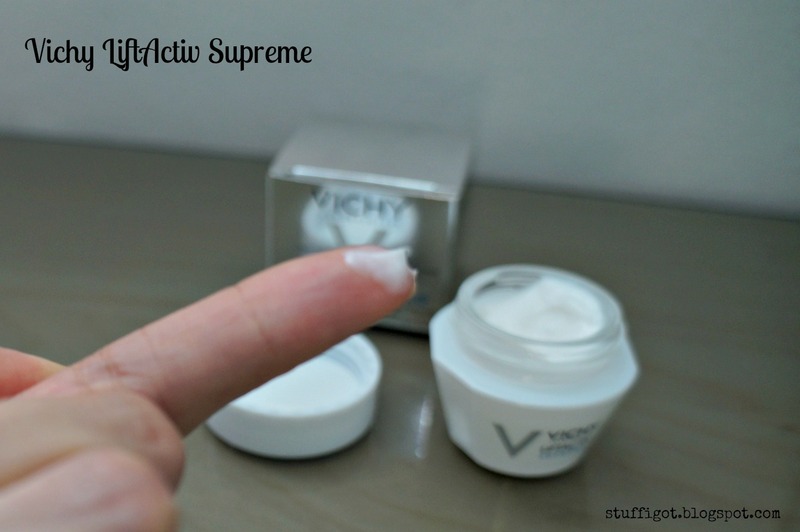 Vichy LiftActiv Supreme is an intense anti-wrinkle and firming corrective care cream. It was designed to counteract daily aging. Upon application, Vichy LiftActiv Supreme instantly smooths fine lines and wrinkles and brightens complexion. During the day, skin looks more plump and appears younger and more rested. Over time, deep wrinkles are visibly smoothed and skin appears firmer. The cream wasn't too heavy and like the serum, it absorbed quickly into my skin. It made my skin look brighter after applying it. But, I thought it was a little greasy right after I put it on. After it absorbed some into my skin, then my skin felt smoother and less greasy. It had a nice, light scent. I didn't have enough of the Vichy LiftActive Serum 10 Supreme in the sample pouch to last 10 days. 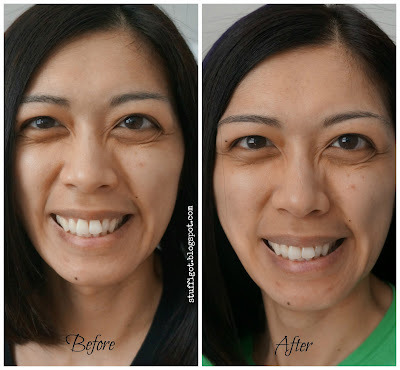 But, after using both products for a few days, I did see that my skin looked brighter and felt more hydrated. I didn't really see any big changes in my skin tone or texture. At this point, I can't say whether it's worth the $45 for the serum and $42 for the cream. I'll continue to use the cream and I'll update this post if I do see any more changes in my skin.